Years of sun-damage combined with the natural aging process result in a depletion of hyaluronic acid (HA) and loss of elasticity with thinning of the skin giving a dry scaly appearance with crepey fine lines. This is commonly seen on the face, lower eyelids, neck, décolletage and hands. Juvederm Hydrate or Restylane Vital, hyaluronic acid(HA) provides hydration and moisturising from within to reverse these changes. Topical Retinol cream may be combined with Juvederm or Restylane to boost the skin health. What is Juvederm Hydrate or Restylane Vital Treatment? Restylane Vital and Juvederm Hydrate are hyaluronic gel which provides deep dermal hydration, moisturising from within, to improve skin tone and health and restore the skin to a plump hydrated appearance, reducing fine lines. Juvederm Hydrate and Restylane Vital replenishes the skins’ own hyaluronic acid which attracts water in the skin improving texture, tone and skin health. Recent studies have confirmed that HA boosts collagen production in the skin providing added benefit in skin rejuvenation. Am I suitable for Juvederm Hydrate or Restyalne Vital treatment? If you are concerned about the appearance of lines or wrinkles on the face, neck décolletage or hands, then treatment with Juvederm Hydrate or Restylane Vital will have a beneficial effect on the lines or wrinkles. It should be noted that deep lines will not disappear with Juvederm Hydrate or Restylane Vital treatment, but may require other dermal injectable products like Restylane, Juvederm or Radiesse to soften these. Botulinum toxin treatment may also be beneficial to relax active facial lines. Your should be aware of the side effects and risks before deciding if Juvederm Hydrate or Restylane Vital is right for you. Initial consultation will determine the goals of treatment, make note of any associated medical conditions and plan the optimum treatment to achieve the ideal result in each patient. Treatment is carried out in the out-patient setting and takes 30 – 60 minutes. A topical local anaesthetic cream is applied to the area(s); face, neck, décolletage or hands. A Jet-Peel treatment is used prior to the injections, which helps to hydrate the skin and speed up the results of treatment. 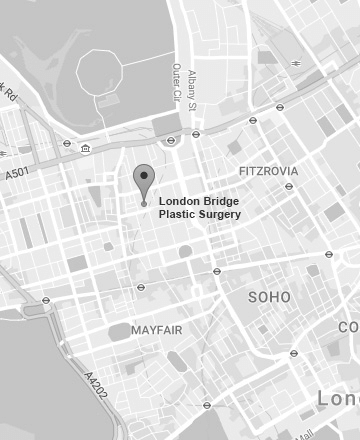 Restylane Vital is delivered to the area via multiple injections using a very fine needle. Improvement in the skin appears with a few weeks following treatment. An initial course of 2 or 3 treatments every 2 – 4 weeks is recommended for optimal results. Juvederm Hydrate or Restylane Vital releases hyaluronic acid gradually over a period of time, therefore the improvement in the appearance generally lasts for 4 -6 months. Repeat treatments are recommended every 6 months to maintain the skin hydration and improvement. What are the risks of Juvederm Hydrate or Restylane Vital treatment? Firstly, Juvederm Hydrate or Restylane Vital treatment is very safe with minimal side effects or risks provided the treatment is performed by a qualified and trained practitioner. Side effects such as mild pain with the injection, mild redness at the injection sites or mild bruising can occur but should be temporary and limited. Reactions following Juvederm Hydrate or Restylane Vital are rare.